If you are a parent or just a volleyball fan who wants to start coaching volleyball at a local school, you need to take several critically important steps before you can drape the whistle around your neck. These steps will help you make sure that your season and team training will be successful and will head in the right direction from the very beginning. You need to train them, no matter your motivation, to become a coach. You may have decided to coach volleyball because your son or daughter is playing on the team. It is possible that you just love the game and want to share your passion for it with others. What matters is that you first realise that being a coach is a big responsibility that you should be taking very seriously. 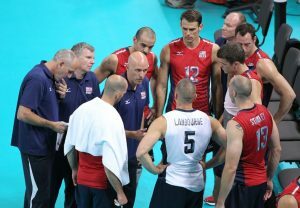 As a volleyball coach, you will be working with all the different types of personalities. When you work with children, you don’t just work with them, you will also have to communicate with their parents. Anytime you bring kids and parents together or groups of parents together, some of them may become a source of all kinds of problems, including aggravation, anger, and misbehaviour during the season, matches and practices. If you are not prepared to deal with issues quickly and effectively, they can take away from the results you can accomplish and from the fun that you want everyone to experience, including kids, parents and yourself. You can avoid a lot of potential problems by meeting with parents before you start coaching kids. During the initial parent meeting, you should lay out the ground rules for what you expect from them and their children during the season. When working with a team of children and with their parents, there are three areas you need to take care of. They are expectations, communication, and involvement.